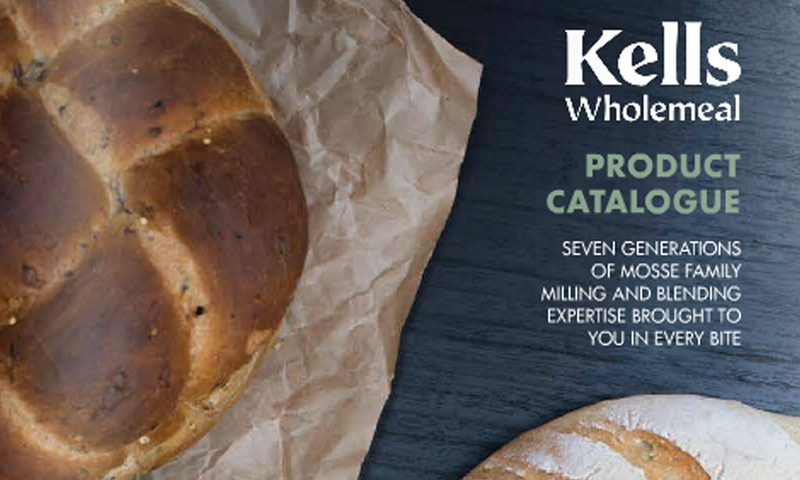 We first started working with Kells Wholemeal when Kathy approached us to look after their catalogue. 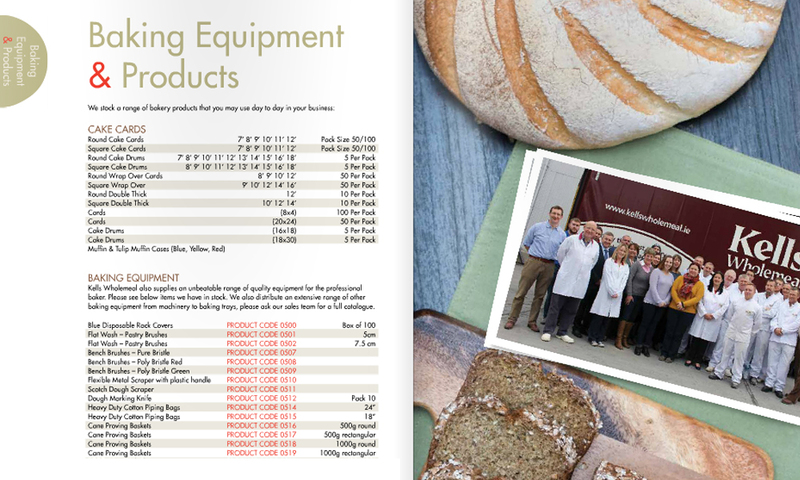 Kells is run by the Mosse family, in the business of making quality flours for the best bakers in Ireland. 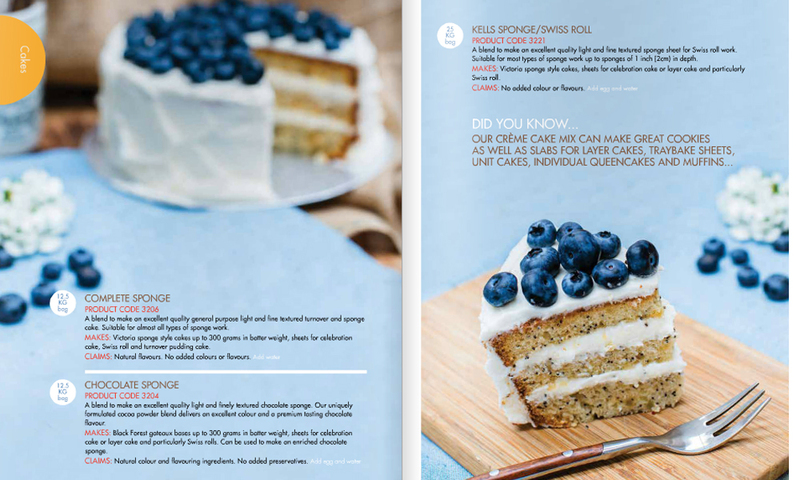 Traditionally they have been wholesalers, but as they moved into the consumer markets they enlisted our help to add some personality to the brand and appeal to consumers. 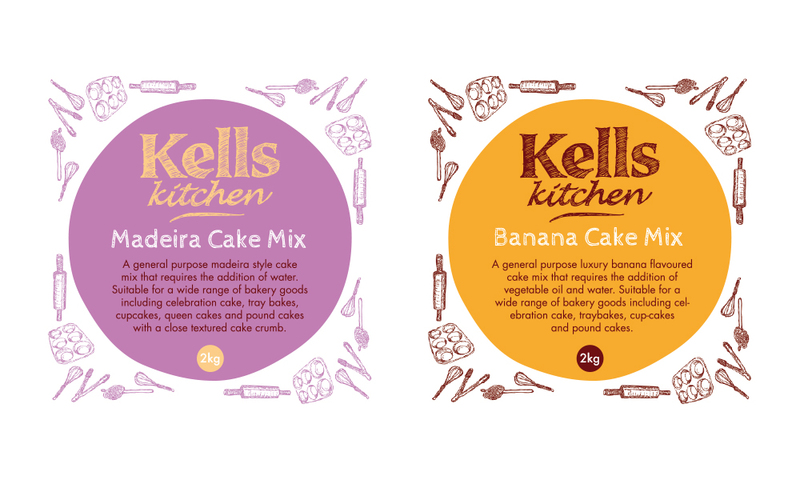 We retained the traditional Kells logo, but completely transformed the look when we shed the muted palettes and instead introduced a brighter colour range with accompanying patterns, supported by more contemporary fonts. 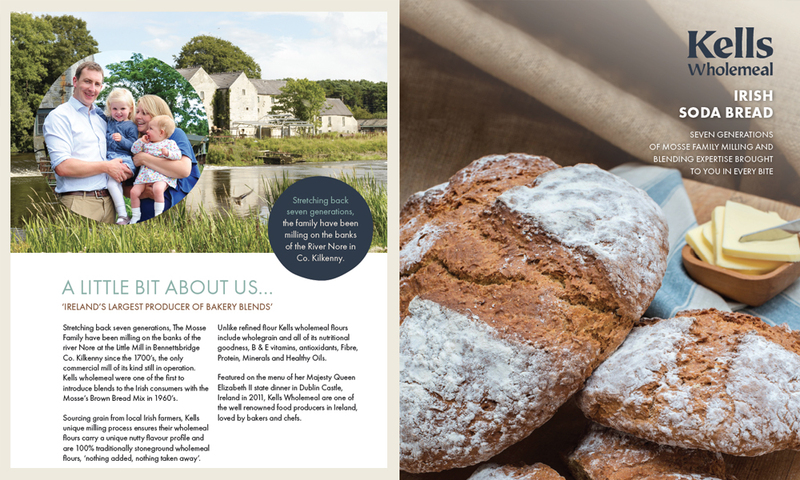 Kathy had some beautiful photography of their great location in Bennettsbridge in Kilkenny as well as the key people who work there and the baked goods they produce daily. This gave us a strong base to design with too. 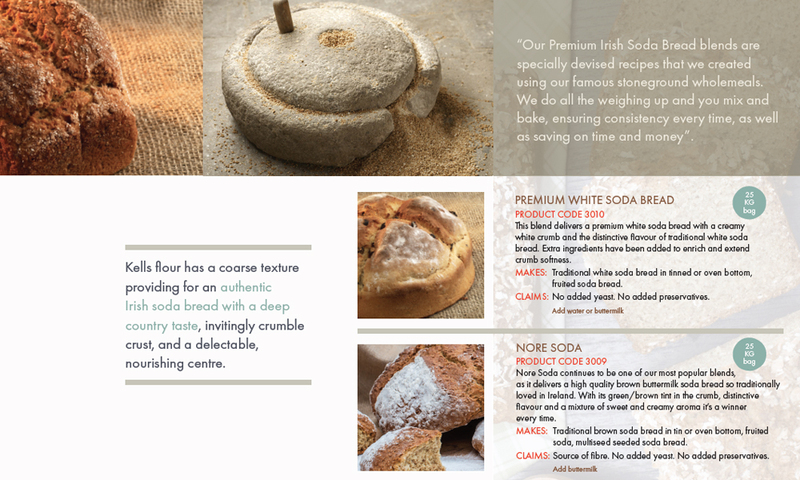 The finished catalogue, which was the primary step in the Kells rebrand, can be viewed here. 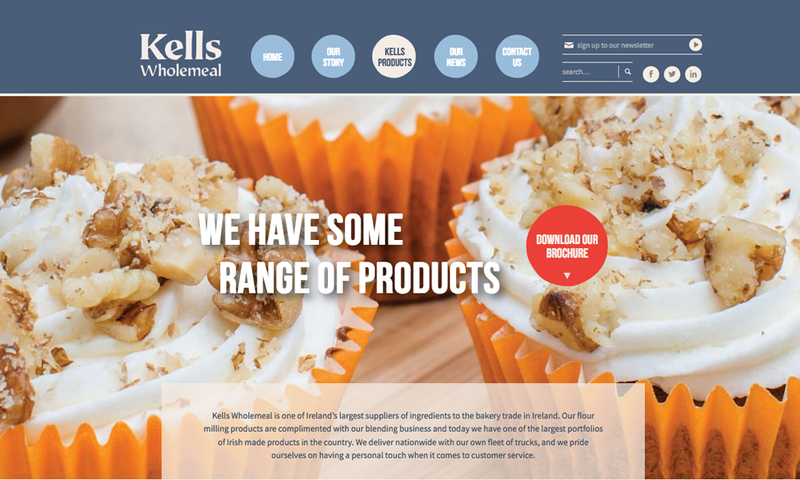 Following the catalogue design, Kells asked us to redesign their website, kellswholemeal.ie. 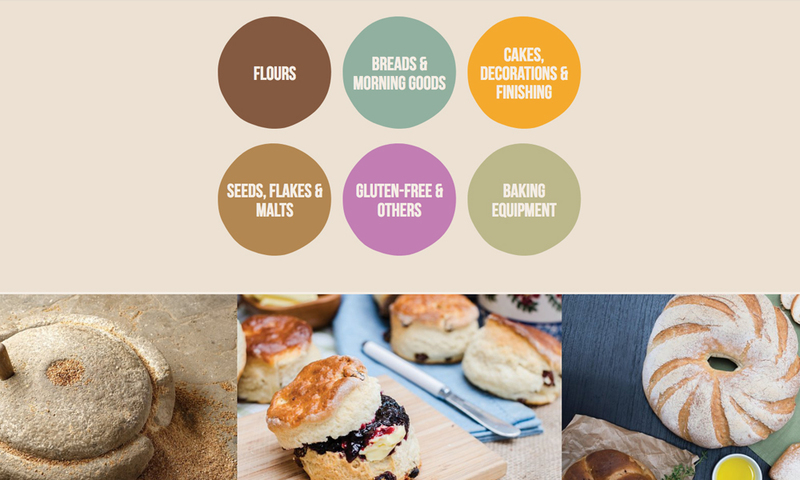 We designed the site, carefully selecting colours and imagery, telling a story and continuing the brand feel online. 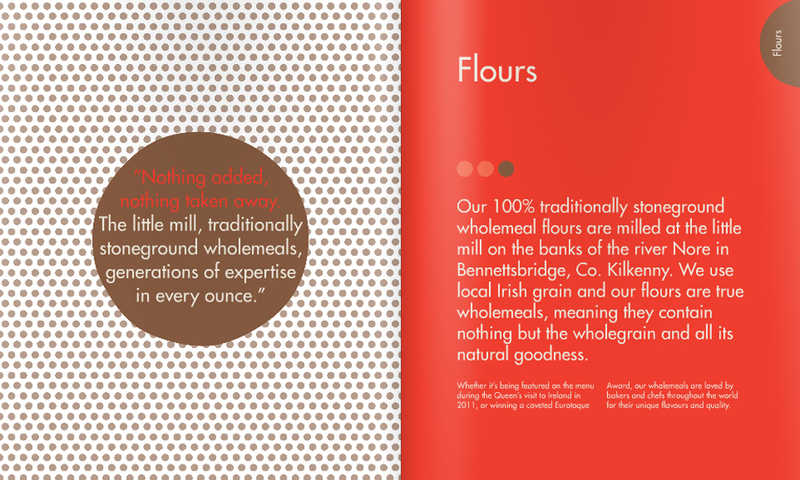 We have since designed labelling for the range of wholesale flours, bread and cake mixes as well as retail stands and POS material. Plenty of new products on the way, Its been a pleasure seeing the brand transform and we look forward to an exciting future.